The assertion that PMH1 will be self-financing is contained both in the main provincial budget document (pages 38 and 41) and in a new service plan from the Transportation Investment Corporation, the agency responsible for financing and building the project. The language has been softened slightly; the previous service plan referred to “full cost recovery,” the current one speaks of recovering “the capital costs of the project as well as operating and maintenance costs,” with revenues reaching a net positive position by 2017/2018. The forecast goes like this: Assuming that traffic volumes are as predicted, toll revenues in the first full year of operation would neatly cover interest and operating costs, but would not touch the $3.2+ billion principal, so more debt would go into the pile. In the second year, revenues would jump by 13 per cent (! ), allowing a nibble at the principal, but not enough to stop the debt from growing further. In the following two years, revenues would grow by something like 12 per cent to reach the break-even level. In support of this vision, we should note that TI Corp has pursued an aggressive hedging strategy, paying a premium to acquire long-term debt now in order to avoid getting murdered by interest-rate run-ups later. 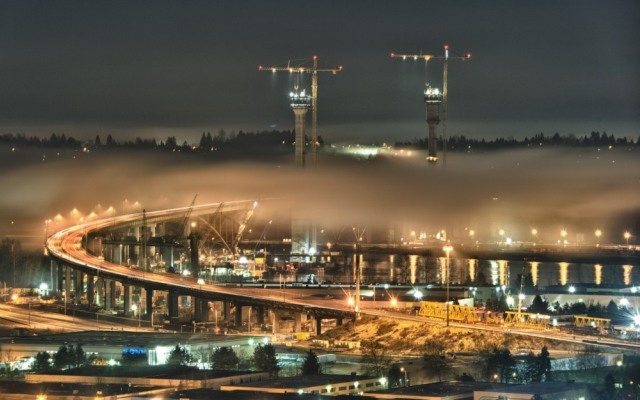 Further, recent census figures confirm that the population east and west of the bridge is increasing rapidly; Surrey, for example, averaged 3.5 per cent annual growth between 2006 and 2011. In other words, the pool of potential customers is getting bigger. If the Province can pull this off, great. However, some concerns: First, there’s the fact that the Auditor-General is concerned. Second, TI Corp’s documents and websites don’t seem to address the logic behind the revenue assumptions, although background documents (no longer available online) have provided extensive detail on construction timing and even the corporation’s office furniture budget. Finally, there’s mixed news coming from the Fraseropolis region’s only other toll bridge. 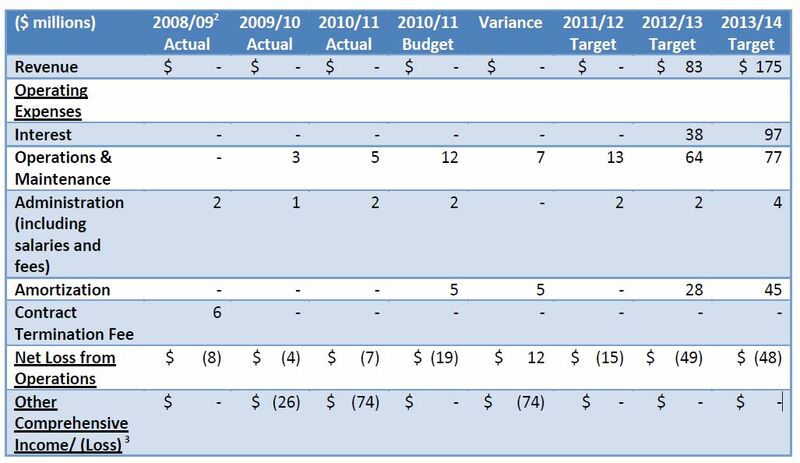 [November 29 2012 revision:] At the end of Q2 2012, Golden Ears Bridge revenues appeared to be exceeding beginning-of-year forecasts by a modest 2 per cent, which marks a positive shift from previous years, when revenues failed to meet short-term targets. Figures on Wikipedia suggest that the Golden Ears is far from reaching break-even, with tolls paying about 60 per cent of costs in 2012. One could hope for a more forthright explanation of the Port Mann tolling projections from either TI Corp or the government, in an era where rising fuel prices, telecommuting, internet shopping and many other factors are affecting driving habits. The hypothetical option of pushing tolling rates to the maximum is politically unworkable; south-of-Fraser communities are already unhappy with the prospect of paying tolls. The issue matters because if toll revenues are steady rather than rising in the first five years of Port Mann operations, B.C. taxpayers could be on the hook for a problem mounting into the hundreds of millions of dollars. If all interest and operating costs are covered as of year one, why would the debt be increasing? Hi Rod: Thanks for taking an interest. 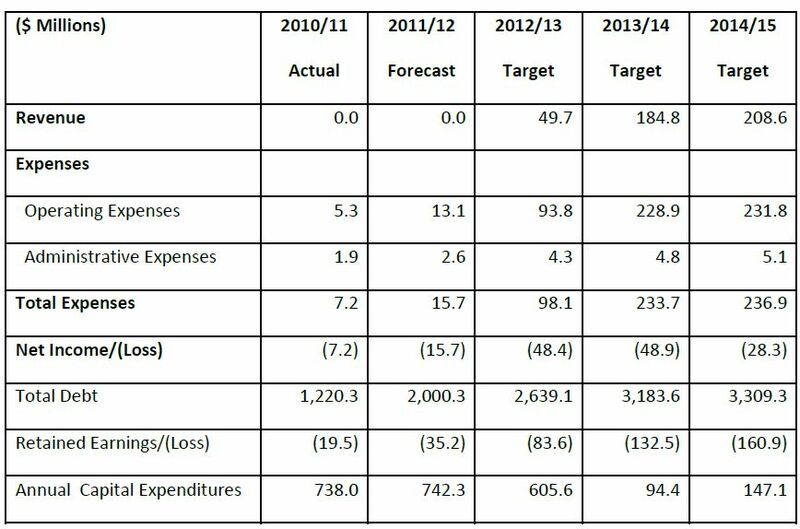 In response to your question I have inserted two charts into my main blog post from TI Corp. One, from the most recent service plan, shows revenue and expenditure projections to the end of 2014/15. The second chart, from TI Corp’s most recent annual report, shows revenues and expenditures in a slightly different way. “Operating Expenses” fall into three categories: Operations (tow trucks, toll collection), Interest and Amorization. Interest and amortization, in my world at least, are two facets of the same activity, which is repaying lenders. When revenues fall short of covering amortization on these charts, the shortfall on amortization is shown as an addition to debt. The only thing I can add is that the TI Corp people are smarter than I am, and I assume that these are generally accepted accounting techniques.